Most women running Fortune 500 companies did not immediately hop on a “competitive business track.” Only three had a job at a consulting firm or bank right out of college. A larger share of the female CEOs—over 20%—took jobs right out of school at the companies they now run. These weren’t glamorous jobs. Mary Barra, now the CEO of General Motors, started out with the company as college co-op student. Kathleen Mazzarella started out as a customer service representative at Graybar, the company she would eventually become the CEO of more than 30 years later. All told, over 70 percent of the 24 CEOs spent more than ten years at the company they now run, becoming long-term insiders before becoming CEO. This includes Heather Bresch at Mylan, Gracia Martore at Gannett, and Debra Reed at Sempra Energy. Even those who weren’t promoted as long-term insiders often worked their way up a particular corporate ladder, advancing over decades at a single company and later making a lateral move into the CEO role at another company. This was the experience of Patricia Woertz, CEO of Archer Daniels Midland (ADM), who built her career over 29 years at Chevron. And it was the experience of Sheri McCoy, who became CEO of Avon after being passed over for the CEO role at Johnson & Johnson, where she worked for 30 years. It is hard to parse what drives the long-tenure, insider path that so many of these women took or why their experiences differ from those of the men. Optimistic interpretations could include supportive organizations, strong mentors, or something intrinsic to the women themselves. On the flip side, differences between the long stints for women and men could also result from structures that treat women less favorably, from biases that delay promotions to penalties for taking maternity leave. Regardless of the root cause, it seems important to acknowledge that the long climb is the common path for female Fortune 500 CEOs. Early stints in consulting and banking also hardly seem to be a prerequisite for either gender: about three-quarters of the men and women do not have any reference in their publically available resumes to time spent in either industry, liberally defined, at any time. Prestigious MBA programs are also hardly a requirement; only 25% of the women and 16% of the men hold an MBA from a top-ten school. In short, for both male and female Fortune 500 CEOs, collecting a single conventional badge of prestige, let alone collecting a handful of them, may help, but is hardly a gating factor. Of course, the world may have changed since the current CEOs made the choices that led them to the top seats in corporate America. The average age of the 24 female Fortune 500 CEOs is 56, leaving room for the tide to have shifted. Yet the youngest woman in the group, Heather Bresch of Mylan, 45, still follows the insider trajectory perfectly. Starting out typing drug labels at a Mylan plant in Morgantown, West Virginia, Bresch moved to roles of increasing responsibility over the next 20 years before becoming CEO. It may be that the playbook for advising young women with their sights set on leading large companies needs to be revised. Just as important, there is something inspiring for young women in the stories of these female CEOs: the notion that regardless of background, you can commit to a company, work hard, prove yourself in multiple roles, and ultimately ascend to top leadership. 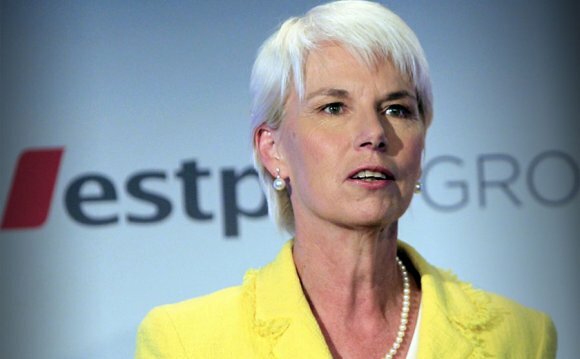 These female CEOs didn’t have to go to the best schools or get the most prestigious jobs. But they did have to find a good place to climb.